It was the best of times: open, unfettered access to data from around the world in an instant, and the tools to analyze it and put it in the hands of the many. Today's always-on society has access to the sum of all human thoughts in a click or a tap. Data can right wrongs, speak for the mute, and shine a light on corruption. It was the worst of times: laziness, a slippery slope of legislative red tape, and closed, proprietary systems undermine our rights and invade our lives, turning Big Data into Big Brother. Join us for our seventh Strata online conference, as we look at Data That Matters. We'll explore the ways that open access to information is changing how we live, love, work, and play. Hear from innovators, activists and defenders of the commons, and look at what we can do to improve humanity by putting petabytes of raw content to work on the problems society faces. 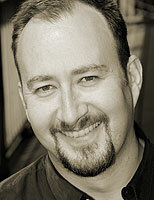 Alistair Croll is the founder of Bitcurrent, a research firm focused on emerging technologies. He's founded a variety of startups, and technology accelerators, including Year One Labs, CloudOps, Rednod, Coradiant (acquired by BMC in 2011) and Networkshop. He's a frequent speaker and writer on subjects such as entrepreneurship, cloud computing, Big Data, Internet performance and web technology, and has helped launch a number of major conferences on these topics. Alistair has co-authored three books on Internet technology, including Web Operations (2010, O'Reilly), Complete Web Monitoring (2009, O'Reilly), and Managing Bandwidth: Deploying QOS in Enterprise Networks (1999, Prentice-Hall). A product manager by trade, he's also an advisor to a number of venture firms and the founder of the Bitnorth conference. Most of what he says winds up on his blog, solveforinteresting.com, or on Twitter (@acroll).